Brilliant tour of Iceland. Ticked all my boxes. Went to all the important sites at the right pace. Knowledgeable tour guide, and good standard of hotels throughout. Yes would recommend. Intend to use again. Whale watching was exceptional. Visits to local businesses very interesting. Loved the horse farm. We had an excellent time in Iceland, really beautiful country. Our tour guide, Cinthya was wonderful. Great small group of travelers & good itinerary. The hike on the glacier & whale watching were the highlights! We had a great tour guide, John. The bus drivers were excellent. The Iceland Adventure Tour was exactly that - an adventure! Everything was well planned: dinners, lodging, extra time and even the weather cooperated! The best was the whale watching on the Zodiac boats. 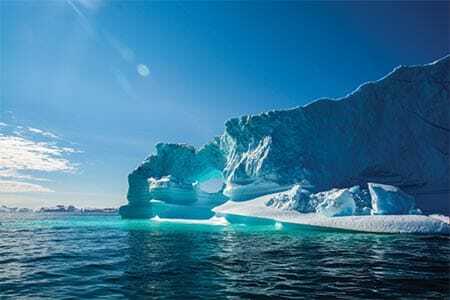 But a close second would be the glacier hike, lava cave tour, Blue Lagoon, the Golden Circle and Diamond Circle. 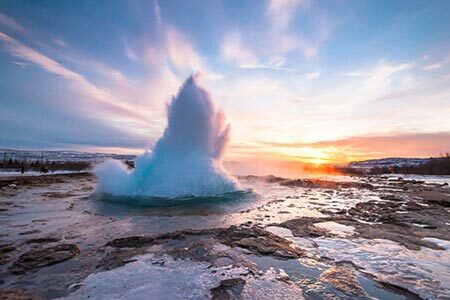 Iceland: a trip of a lifetime! A friend and I booked our trip with Collette for a tour of Iceland. This was my first your and I was very pleased with it. I'm sure I saw more and learned more than I would on my own. I liked that the group was fairly small and all but a few were friendly and considerate. Our Tour leader, Beth Meredith was amazing. Warm, personable, extremely knowledgeable, and her passion for travel was contagious. The accommodations were all clean and safe. Iceland is truly a strange and beautiful country. We saw meadows full of wildflowers, sheep, and Icelandic horses. We saw geysers bursting into the sky, the ground literally boiling, climbed down into a lava tunnel, and began seeing trolls in the magical lava fields. Throw in a few whales, turf houses, geothermal soaks, and magnificent waterfalls - what more could you want? Perhaps an elf that would make the trip longer? Working with Shane at New Horizons in Ankeny, Iowa, was most pleasant. 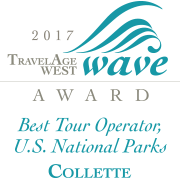 As in the past the Collette tour was well planned and executed. The tour manager was personable and knowledgeable. Sites seen and visited provided a good idea of what Iceland is/was/does. Thank you for continuing to meet my expectations of a tour. This was a very versatile tour encompassing many aspects of Iceland. Our tour manager was engaging and worked hard to make it a wonderful experience for all of us. 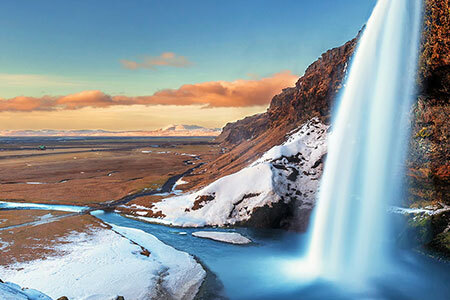 Set out to discover Iceland’s adventurous landscapes and rich cultural heritage. From ethereal lava fields to thundering waterfalls to coastal villages, this tour reveals the island’s dramatic contrasts. 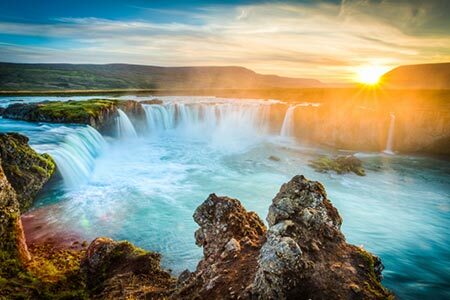 Marvel at Iceland's spectacular scenery and engaging culture as you travel through a land tinged by fire and ice. 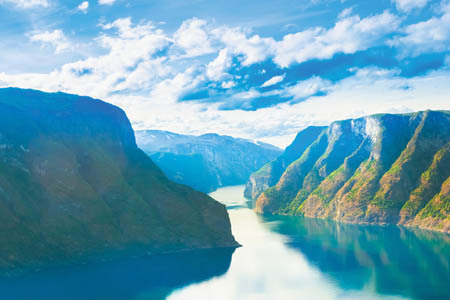 Travel throughout the thrilling landscapes of Scandinavia as we connect with the cultural capitals of Northern Europe. Sparkling glaciers, peaceful fjords, and Nordic heritage await in Greenland and Iceland. Discover these islands on a voyage by land and sea. 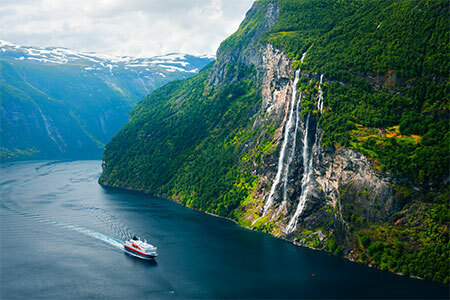 Venture to a place where crashing ocean meets craggy mountains, forging the natural majesty of the Norwegian fjords. On occasion, some activities may not be available due to inclement weather. Museum visits and shopping may be affected with observance of religious, local holidays or seasonal closures. Due to flight schedules, a pre or post night may be required in some Icelandair gateway cities (at an additional cost). Please inquire at time of reservation. Due to tour scheduling, arrival flights should arrive prior to 10:00 a.m.
*The horse show may not operate in the off season months (April & October). ***Scheduled activities may vary in time due to the flight schedule from Reykjavik to Akureyri on Day 4. ****The Vatnshellir Cave tour is not recommended for guests who are claustrophobic or have back or knee problems. Guests should be in good physical condition. **The internal flight is not included in the land cost of your tour. This flight needs to be arranged and purchased separately if you arrange your own air. *****Snæfellsjökul glacier experience is weather permitting. Boots and crampons will be provided to guests as needed. If you choose the glacier hike on Day 8, cold weather clothing is required. Breakfasts at the Raudaskrida Hotel are Continental breakfasts.